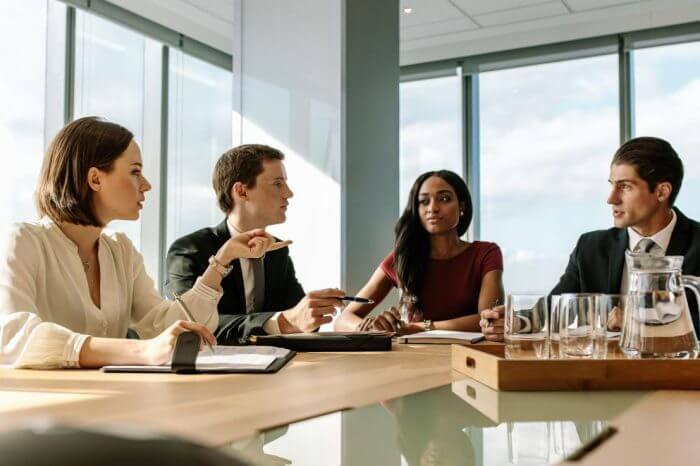 Since 1974, the firm’s experienced trial lawyers have worked purposefully to achieve favorable results for their clients in civil and business matters across a variety of practice areas. With over 50 attorneys, Arthur Chapman brings big-firm assets to bear on clients’ problems, while maintaining the agility and high-touch service of a smaller practice. Arthur Chapman’s well-defined core values reflect its commitment to legal excellence by acknowledging that success begins with an environment of respect, creativity and growth. The firm celebrates people’s differences and sees those variations of talents and perspectives as vital to its collective success. As a result, it embraces a robust diversity plan that extends beyond its own walls to include clients and community. 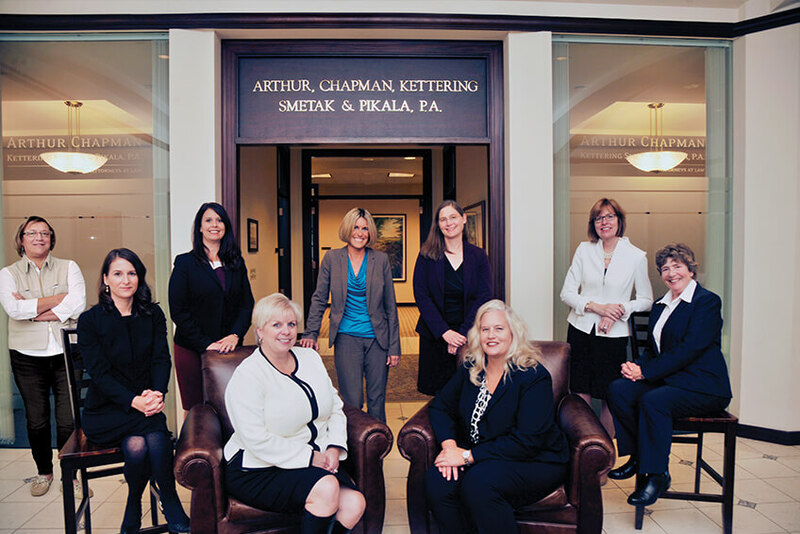 Arthur Chapman is a 2018 Minnesota Women Lawyers (MWL) partner, demonstrating the firm’s commitment to MWL’s mission to advance the success of women lawyers and strive for a just society. 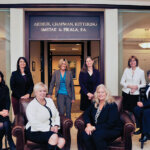 In a firm where nearly half of the attorneys are women, nine are shareholders. Each took a moment to reflect on why she chooses to practice at Arthur Chapman, how the firm is fulfilling its commitment to diversity and inclusion, and how the firm supports her in achieving work/life balance. Ferguson has been practicing law for more than 30 years. She has tried and arbitrated more than 100 cases and devotes her practice to litigation. Her extensive experience includes defending hospitals, clinics, medical professionals, railroads, schools, clergy and attorneys. “As a young lawyer, Arthur Chapman provided excellent teachers, mentors and supporters to advance my career. In addition to that support and the opportunity to try cases which continues today, I was provided ample opportunities for leadership positions. These positions included membership on the board of directors, compensation committee, and chair of the professional liability group. The firm continues to support my involvement in various professional organizations outside the firm such as the American College of Trial Lawyers, American Board of Trial Advocates, International Society of Barristers and International Academy of Trial Lawyers. Tuft’s practice focuses around assisting both insured and self-insured clients with matters related to workers’ compensation law. Her clients know her as an aggressive advocate who understands their businesses and will help them reach their desired resolution, whether through settlement or by taking a case to trial. Since the inception of her legal career, Hamann has engaged almost exclusively in cases related to automobile and no-fault litigation. Her extensive experience includes automobile cases, insurance coverage and fraud, premise liability, commercial transportation, auto glass claims and the defense of all types of personal injury-related claims. “I was hired as a lateral attorney more than 12 years ago. I came to the firm with a rich insurance defense background having worked as a litigator at the in-house legal counsel office for Farmers Insurance. I feel fortunate to have been given the opportunity immediately upon joining the firm to be able to contribute and steadily grow a solid book of civil litigation work. Working alongside insurers, employers and self-insured entities, Conley works to resolve workers’ compensation and general liability cases, and has done so for more than 25 years. She also represents clients in various liability cases, including motor vehicle accidents, fire litigation, products liability and premises liability. Conley has special expertise in occupational exposure, traumatic brain injury (TBI) and complex medical claims. “For as long as I can remember, I wanted to be an attorney. Not just an attorney but a litigator. I was drawn to being in court and arguing the merits of a case. Fast forward 30 years, and I am still in litigation, handling workers’ compensation defense and still having fun. After working with staff counsel for 20-plus years, I chose to go into private practice. I chose Arthur Chapman because the firm had a great reputation. The firm fit my philosophy: hard work, good litigators and good people. There is just no better place to work. Linville is chair of the firm’s construction practice group and concentrates her practice in the areas of commercial and residential construction defect litigation. She also represents clients in other areas of defense, including automobile liability, premises liability and general liability. “After practicing law in a smaller firm, I wanted to move to a place where I could grow and succeed in an environment that would support my professional goals as a litigation attorney. Arthur Chapman has that reputation. In the past 11 years, I have learned invaluable lessons from mentors and colleagues who are now my partners. Though the firm has grown throughout the years, there is still a ‘small firm’ feel where I have developed strong friendships and have the unique opportunity to work as a team to provide the best legal counsel possible. Assisting insurers, third party administrators and self-insured employers in both Minnesota and Wisconsin, Larson concentrates her practice in the area of workers’ compensation. Her practice is split evenly between Minnesota and Wisconsin, and she regularly advises clients regarding situations involving the nuances of law between the two states. “I started at Arthur Chapman in 2006, two weeks after I was sworn in. I stayed because of the flexibility and the people. My now partners supported my drive and motivation to work hard and build a successful and self-sufficient workers’ compensation practice in Wisconsin (essentially a new firm practice area), as well as a practice in Minnesota. The firm provided resources to grow this practice. An example is our relatively new Hudson, Wisconsin office, which has significantly increased marketing opportunities for me and others interested in pursuing a Wisconsin practice. Schubert’s diverse practice includes representing railroad companies, corporations, small businesses and insurance carriers in several areas of law. Clients call on Noelle’s experience for representation and counsel on the Federal Employers’ Liability Act (FELA), the Federal Railroad Safety Act (FRSA), workers’ compensation, employment law, appellate law and commercial litigation. “I choose to practice at Arthur Chapman because of the people I work with and the clients that we serve. In my 11 years with the firm, I have developed strong friendships and professional relationships with fellow shareholders, associates, paralegals, staff and clients. Having a positive team of people to work with makes practicing law more enjoyable. “As a lawyer, work/life balance can be an elusive concept. Work is necessarily a large part of your life. The clients we service at Arthur Chapman have needs that require prompt and close attention. As lawyers, our job is to offer superior legal service to protect their interests. Oft en, this means working after hours and on weekends. Thankfully, Arthur Chapman has a team of smart and experienced lawyers, paralegals and staff that I can rely upon to help address client needs when I am not available. This team approach serves our clients well and allows for a more manageable work/life balance. Bushnell is chair of the firm’s employment law practice group and focuses on solving a variety of complicated business and employment problems consistent with her clients’ goals. She takes cases to successful conclusion through both litigation and appeals. Bushnell also defends professionals in regulatory investigations and malpractice actions. Eggers represents railroads, rail equipment manufacturers and owners, chemical manufacturers and medical device manufacturers in numerous state and federal courts on matters surrounding railroad and product litigation. Clients rely on her vast knowledge of the railroad industry and her experience working with the intricacies of product liability matters. “I left my firm to join Arthur Chapman and it has been one of the best career decisions I have made. Before switching firms, I talked to future clients and they suggested that Arthur Chapman was the place to go to get their work. The Arthur Chapman lawyers were warm and welcoming. They appreciated my knowledge and expertise in the railroad area and gave me great opportunities. The firm is collegial and invites input from all into management and the practice of law on individual cases.